Summertime is a great time to decompress after a stressful school year, but it's also an important time for college admissions. Whether you get a summer job, attend a summer program, write your college essay, or one of the dozens of other options for summer, colleges want to know what you're up to between June and September. 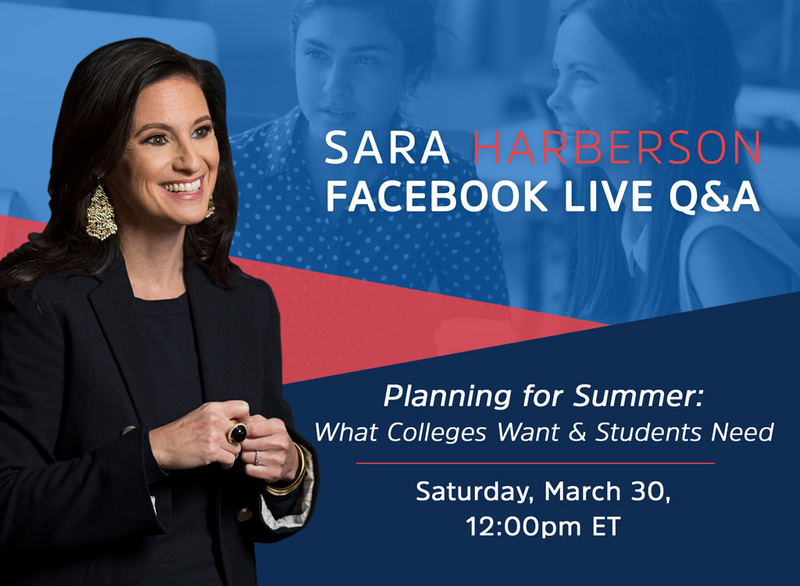 Submit your questions for America's College Counselor, Sara Harberson, and learn what colleges want and students need to plan for summer! Countdown to Sara's next Facebook Live Q&A!